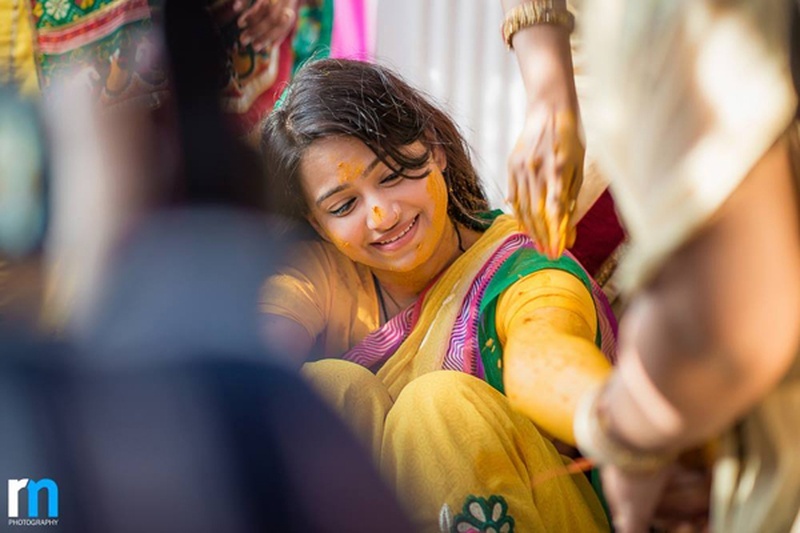 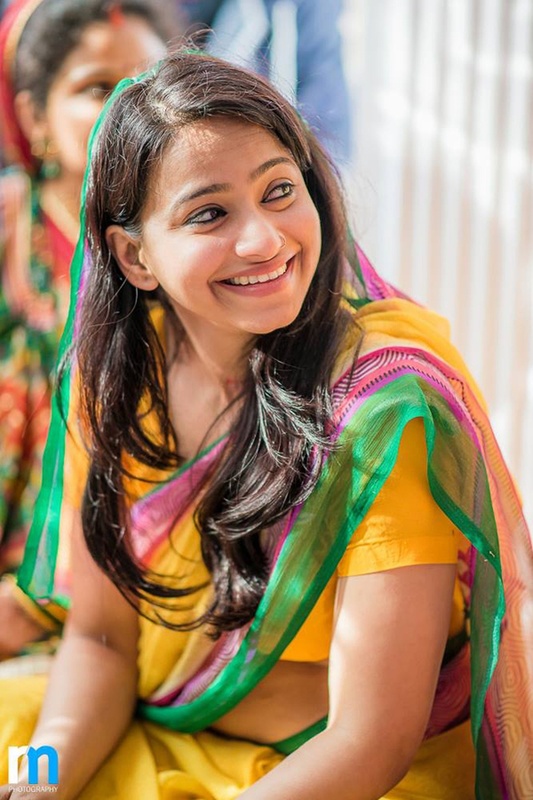 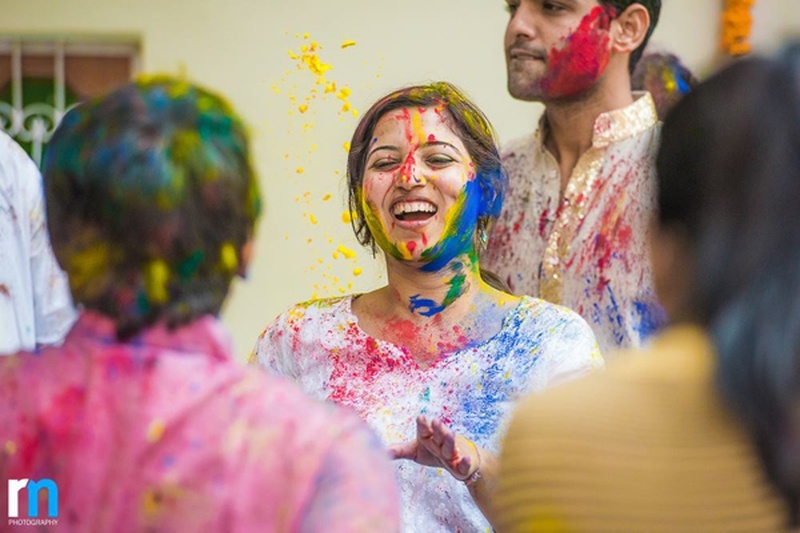 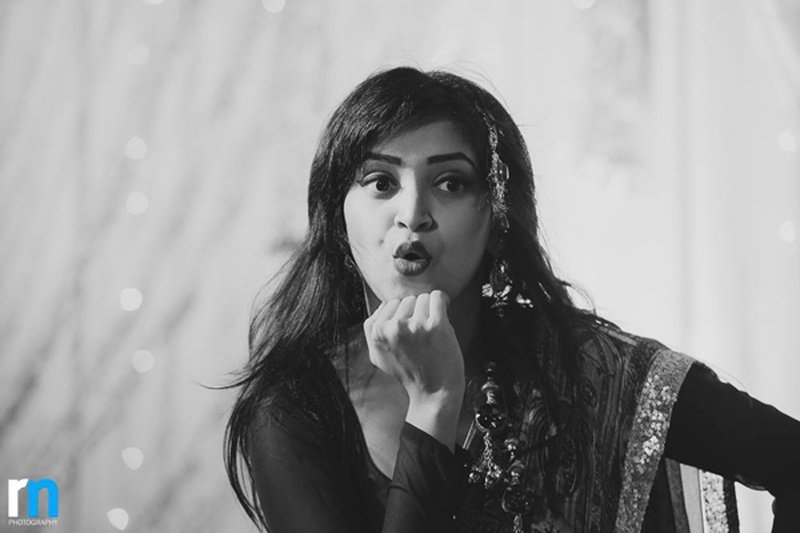 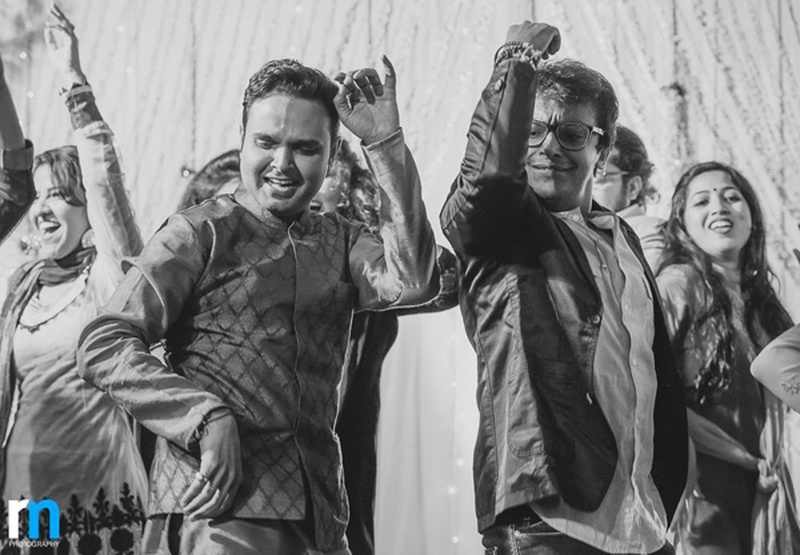 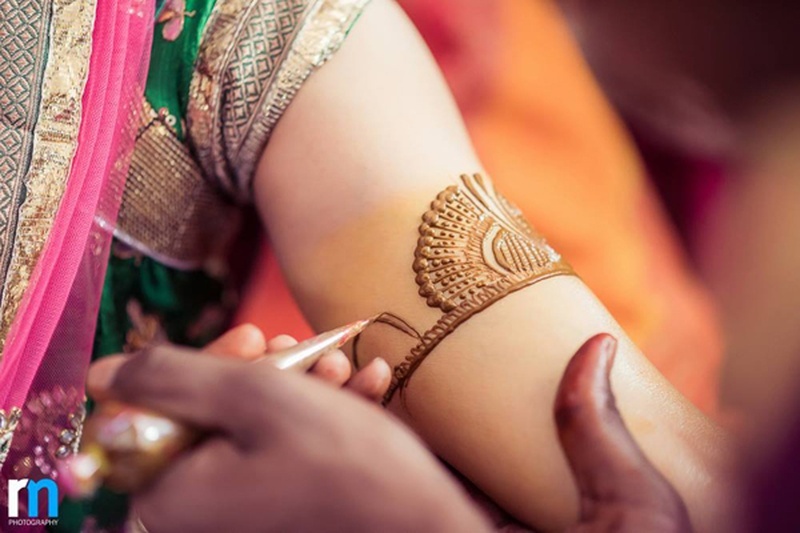 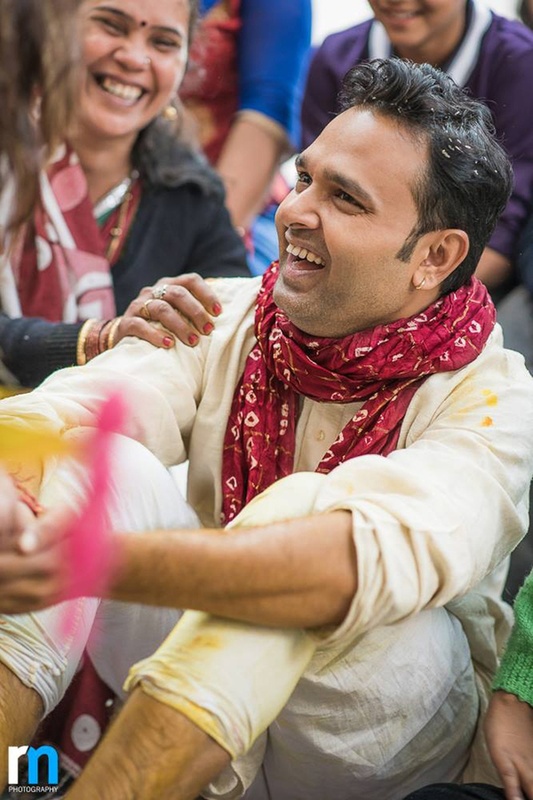 Aarambh’s haldi ceremony was one crazy, dance-filled celebration with oodles of love and happiness. 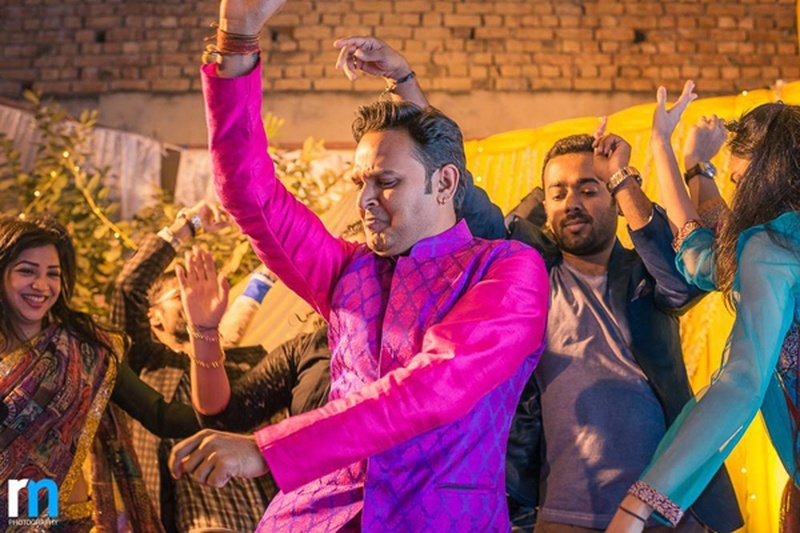 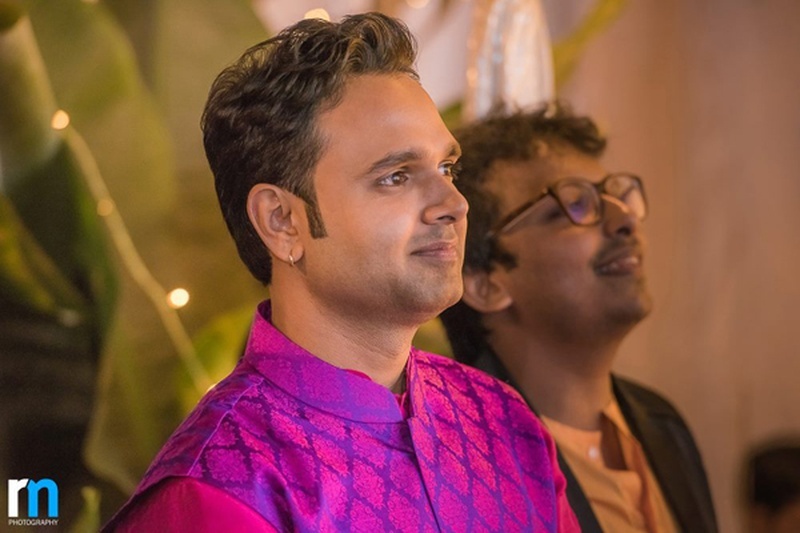 These festivities carried on to the Sangeet ceremony for which the handsome groom-to-be looked absolutely dapper in a pink kurta and purple damask textured Nehru jacket – who says boys can’t pull off pink?! 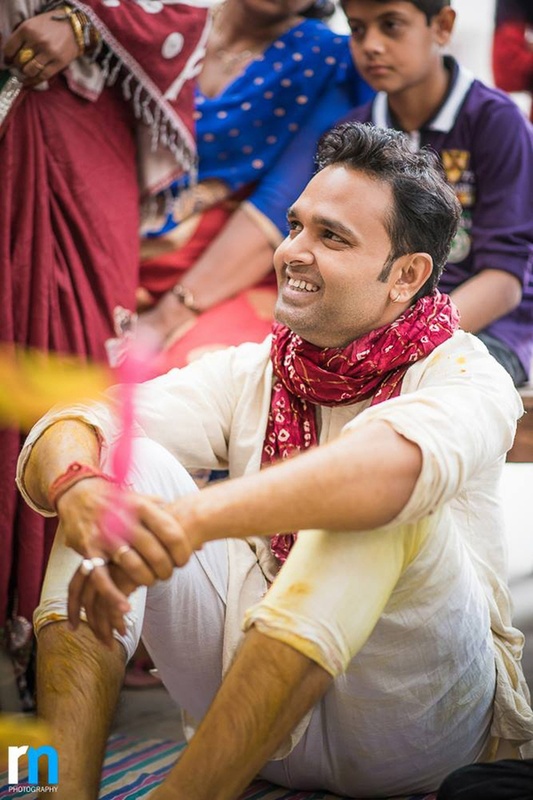 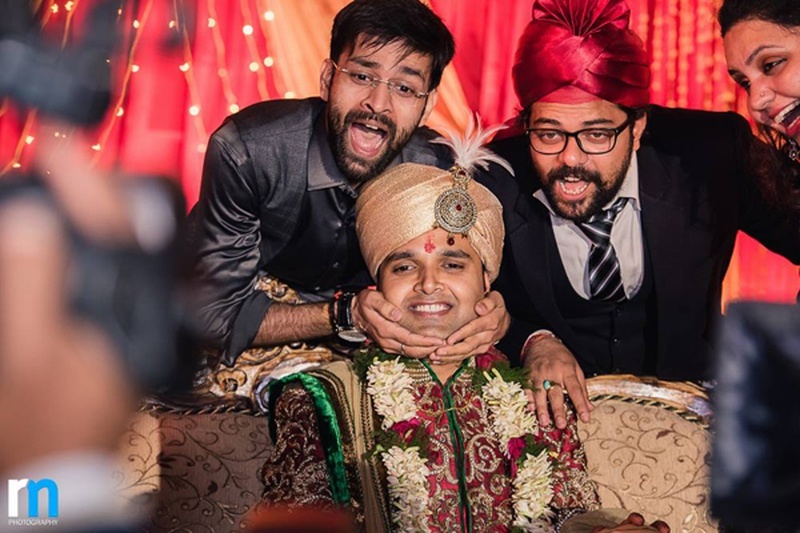 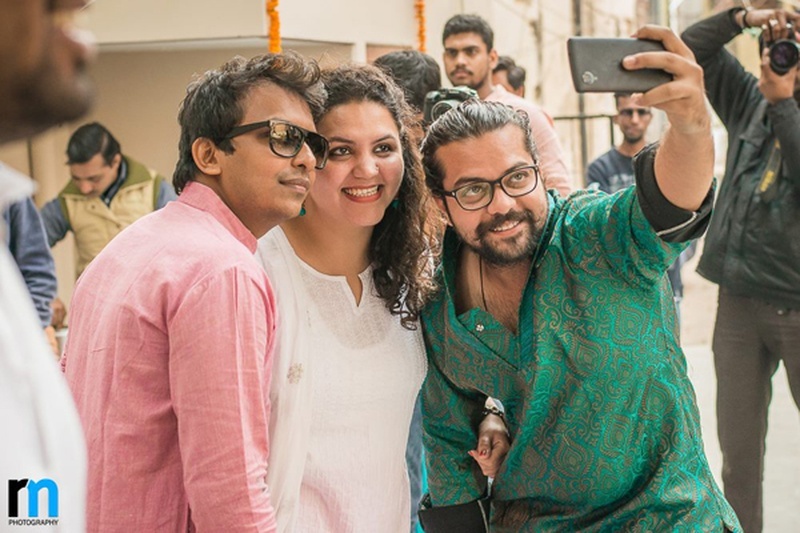 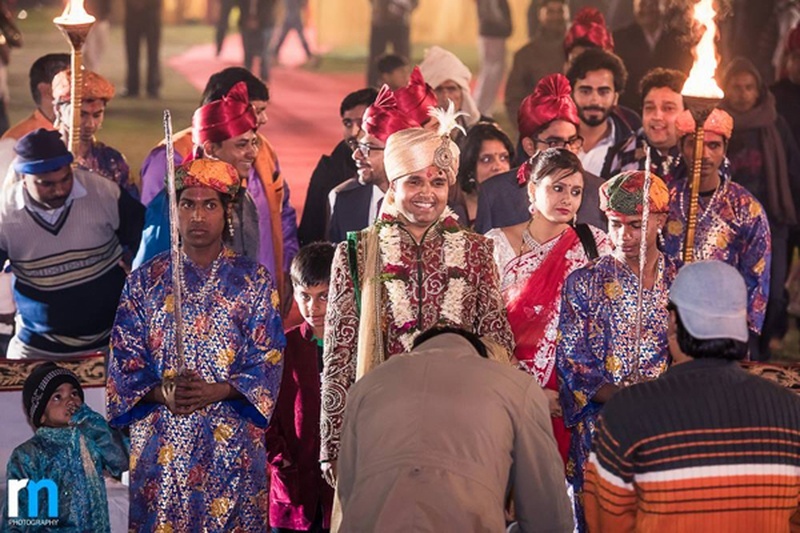 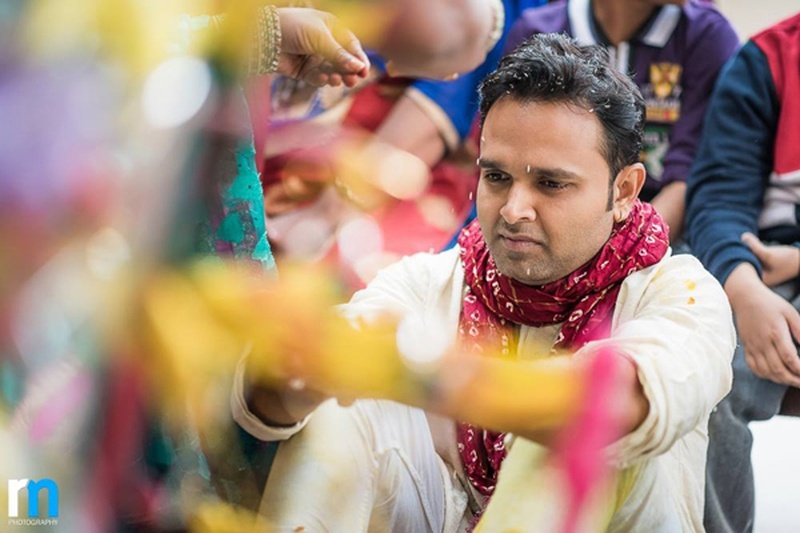 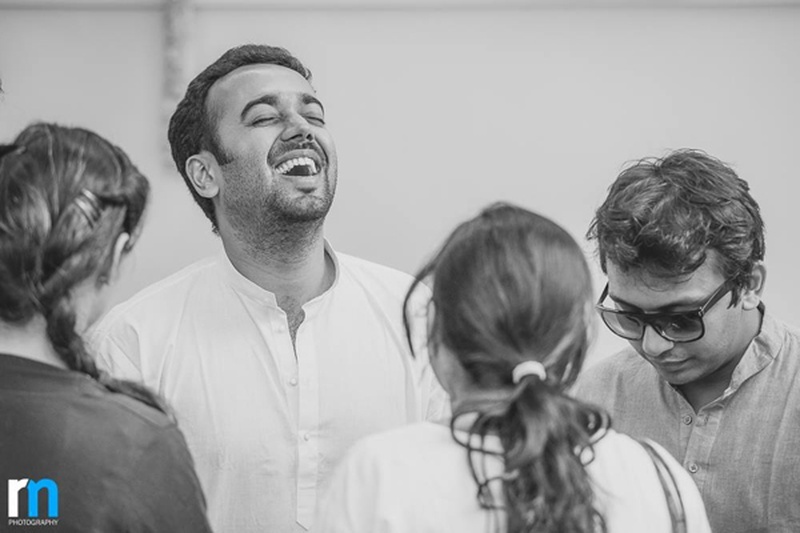 Look out for this uber cool groom in pink as you scroll through the album. 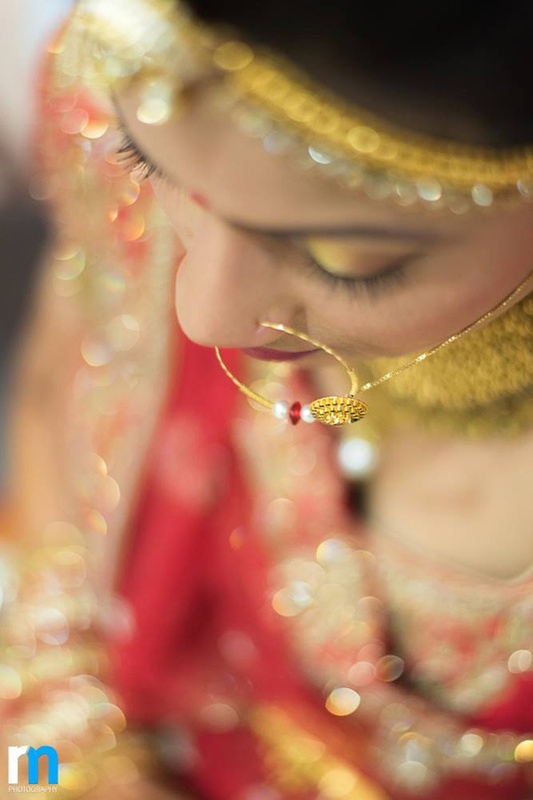 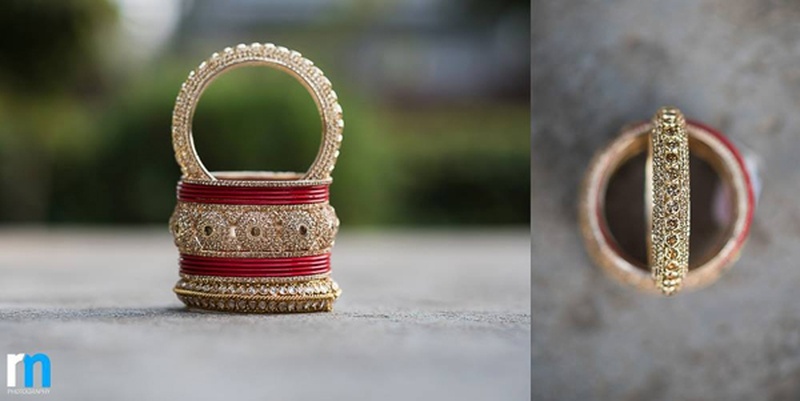 Rohan Mishra Photography did an exceptional job with not only candidly capturing the sweetest moments but also proving his expertise in product photography with the images he shot of Rashmi’s exquisite bridal jewellery. 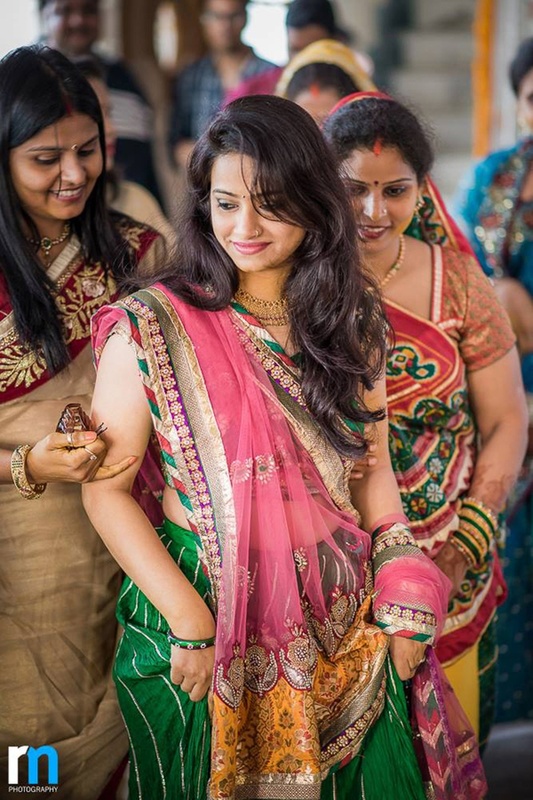 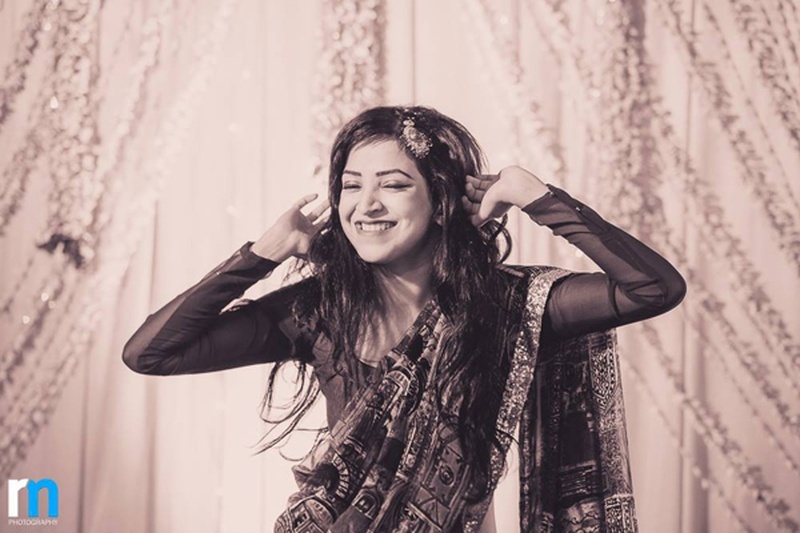 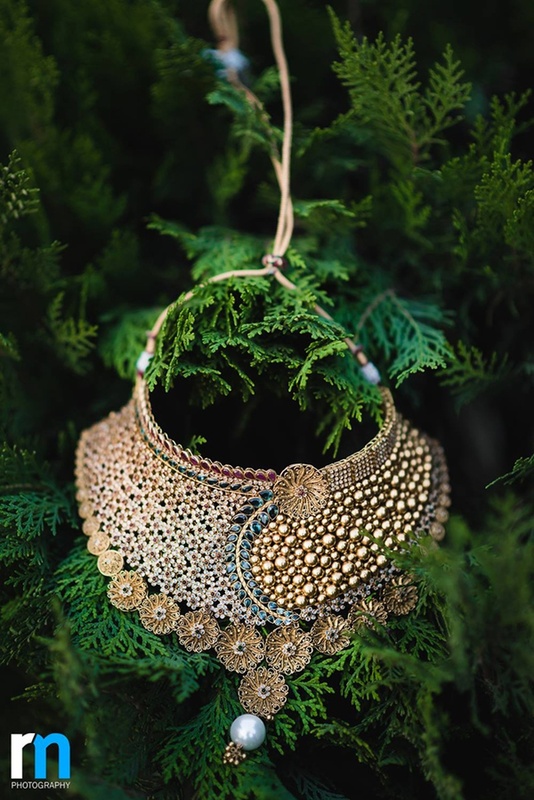 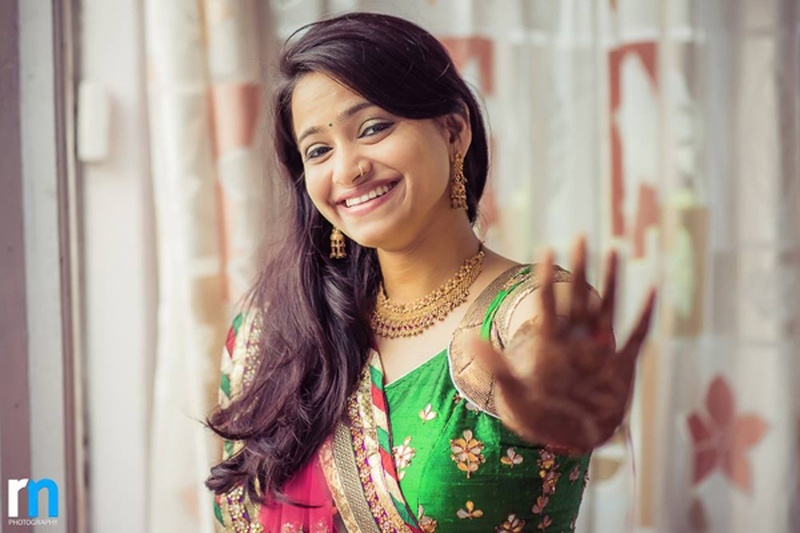 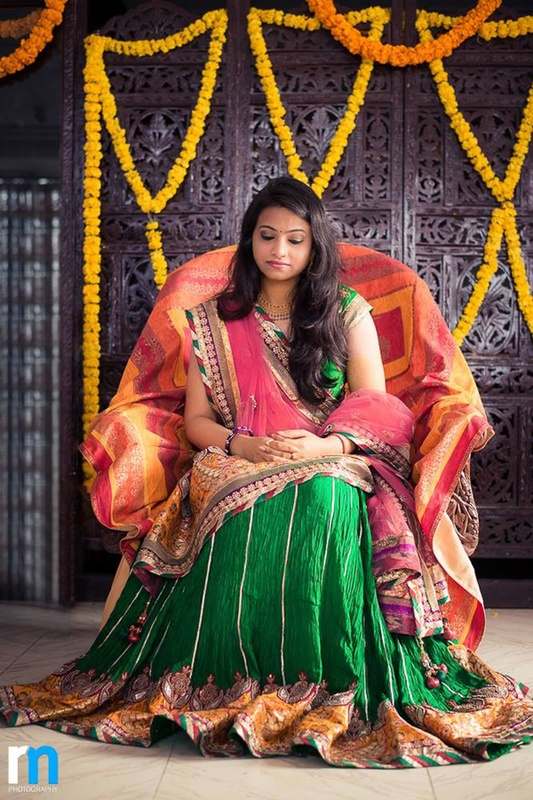 Each photograph excellently captured the regal feel of each piece of adornments she wore, whether it was the flower-inspired gold choker, or embellished chooda. 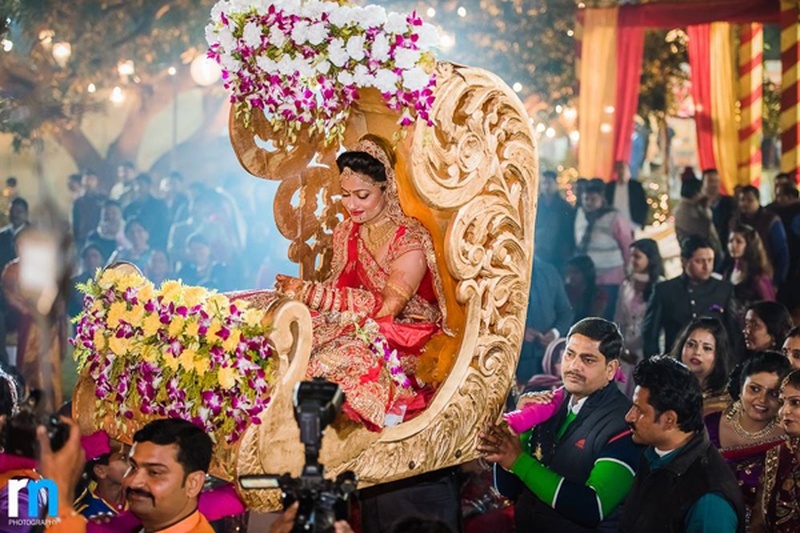 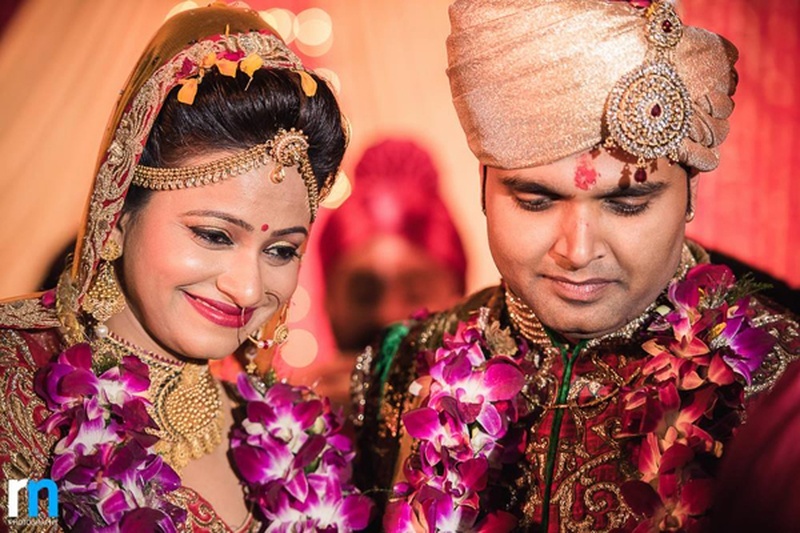 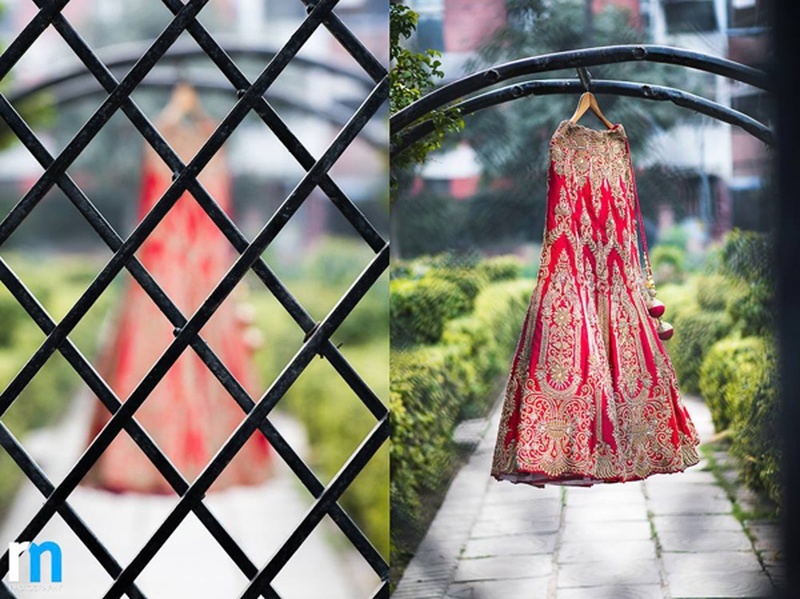 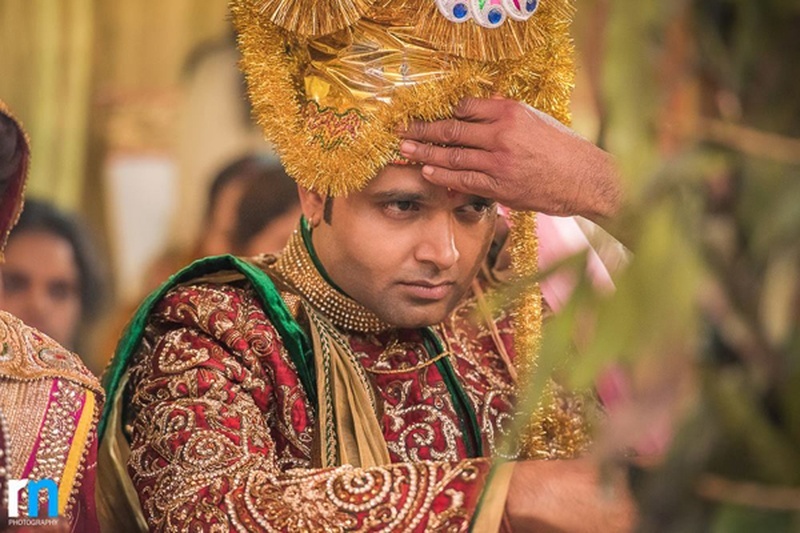 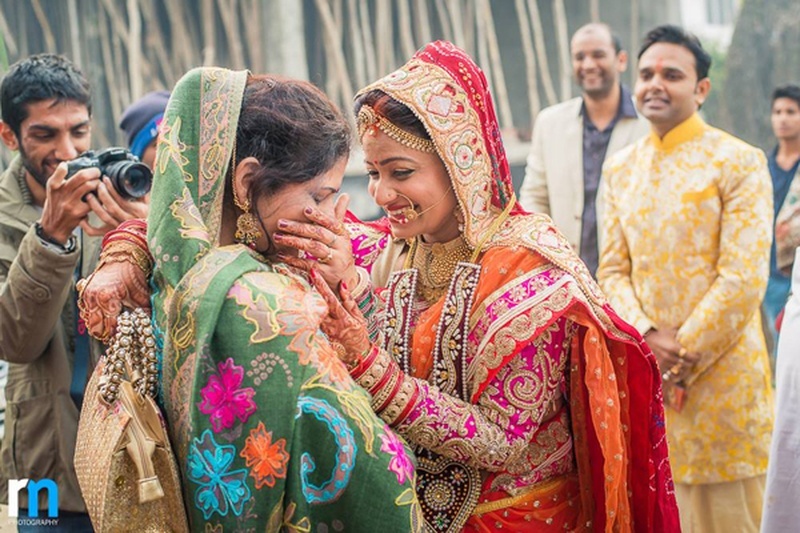 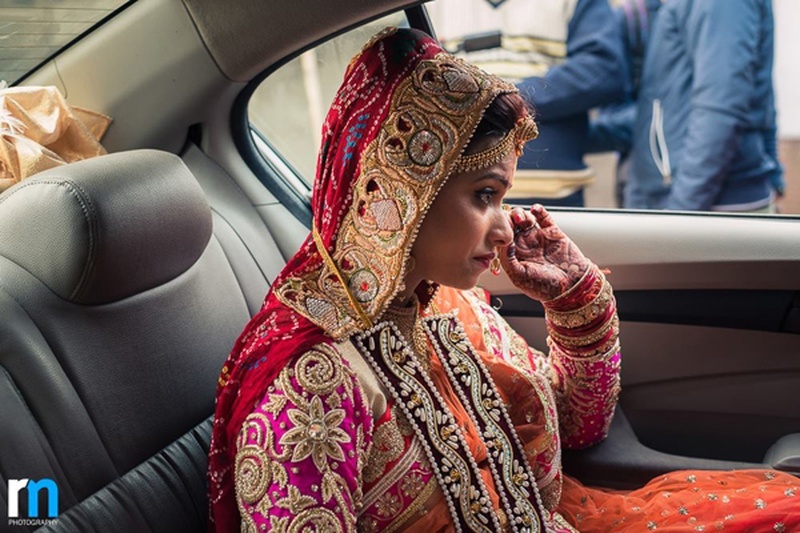 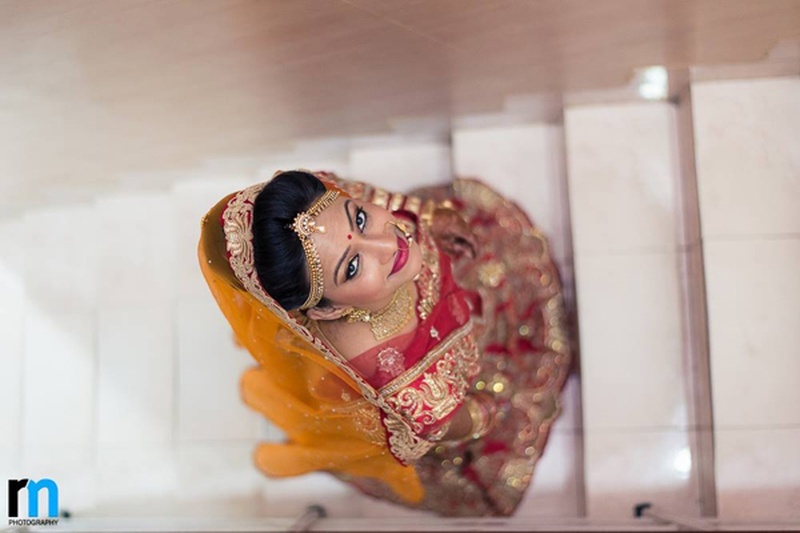 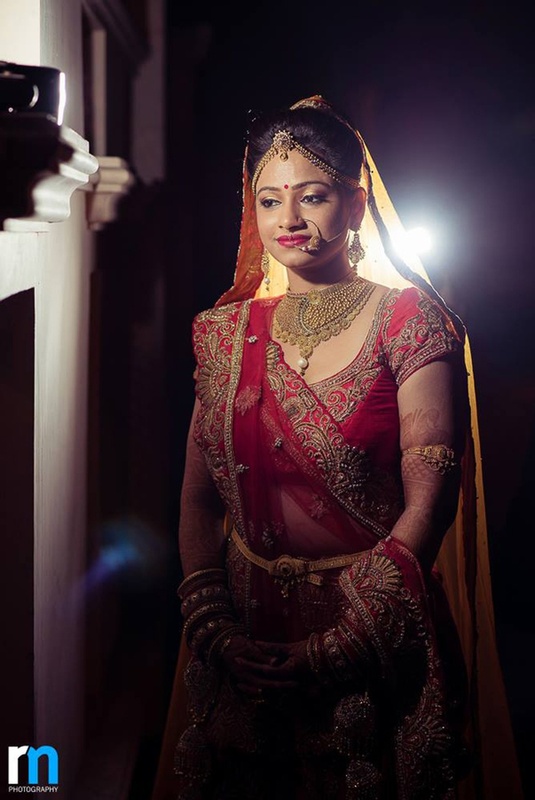 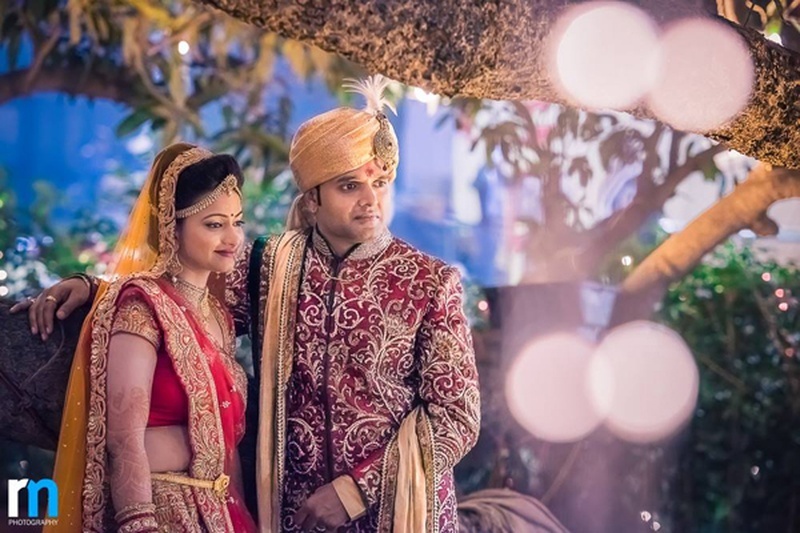 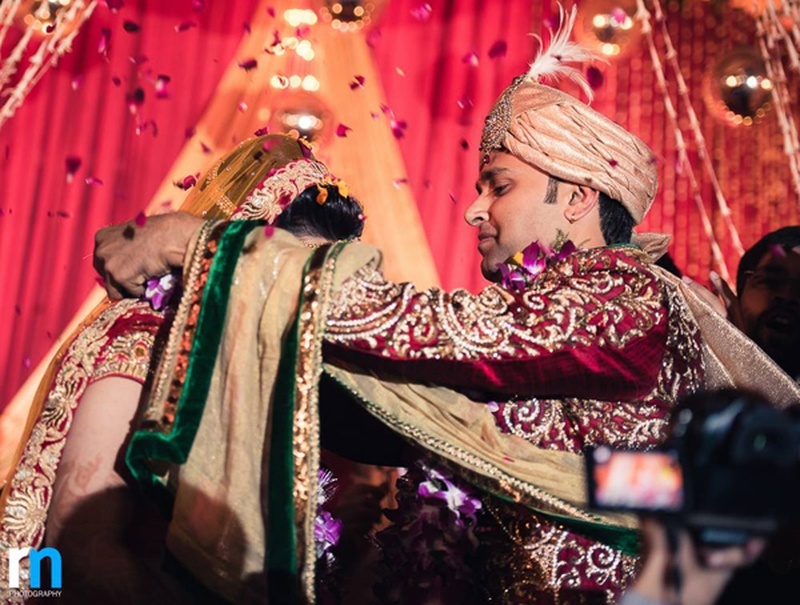 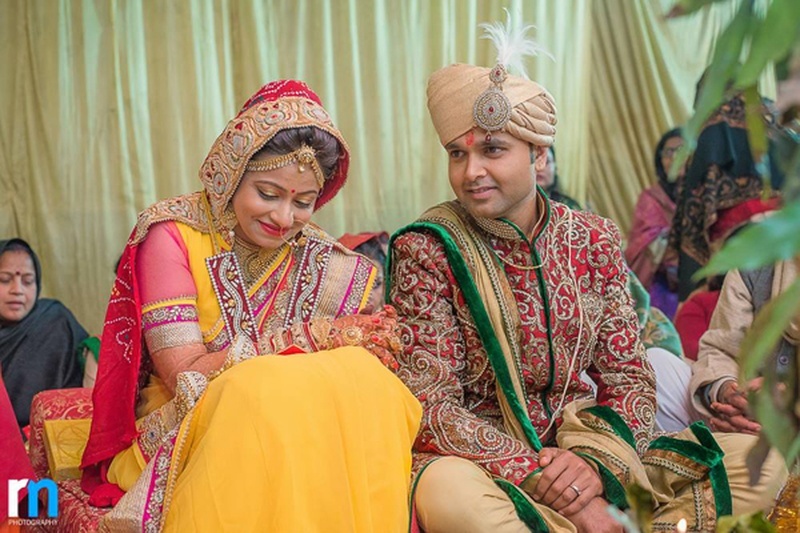 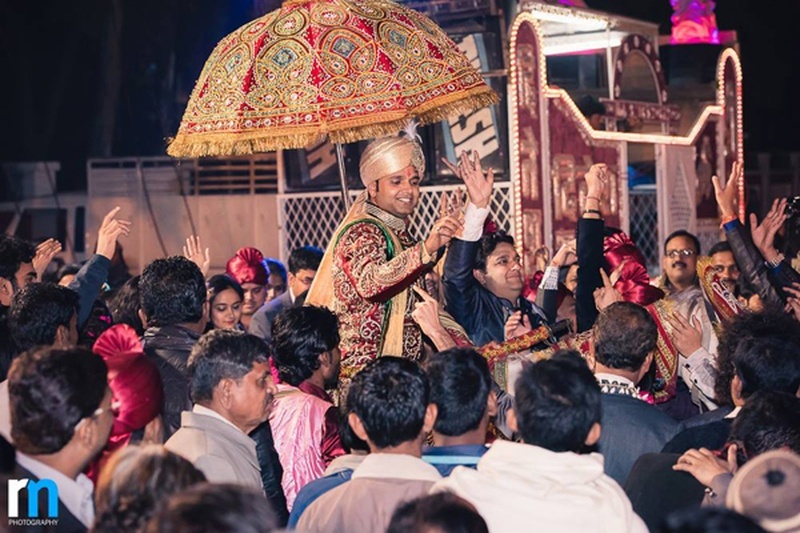 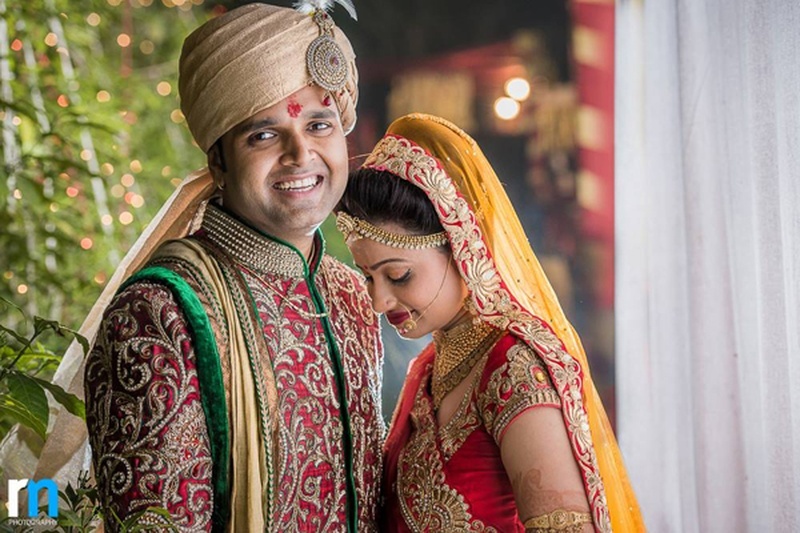 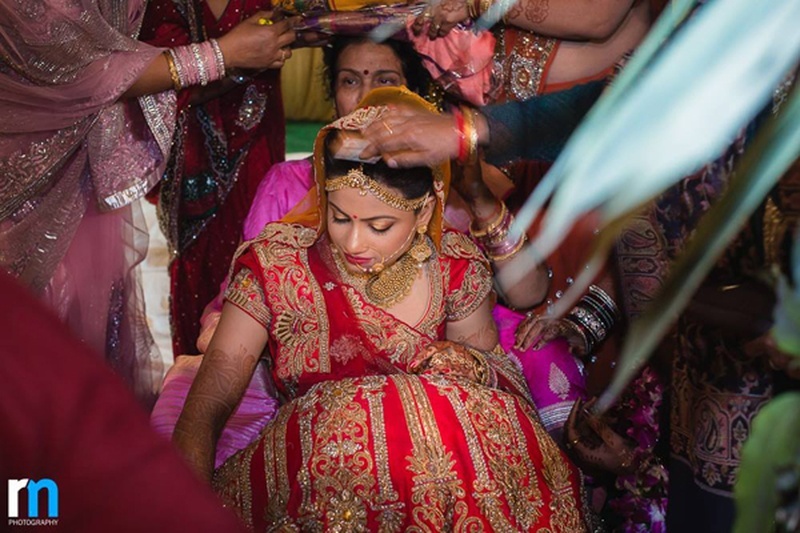 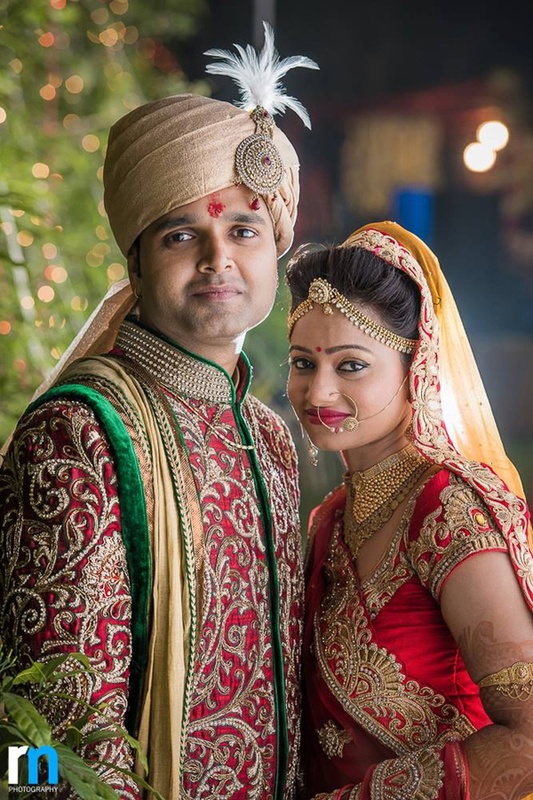 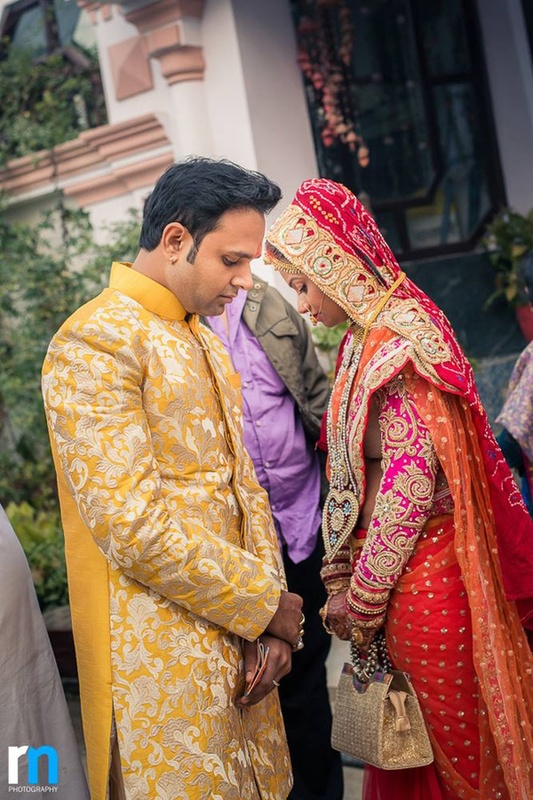 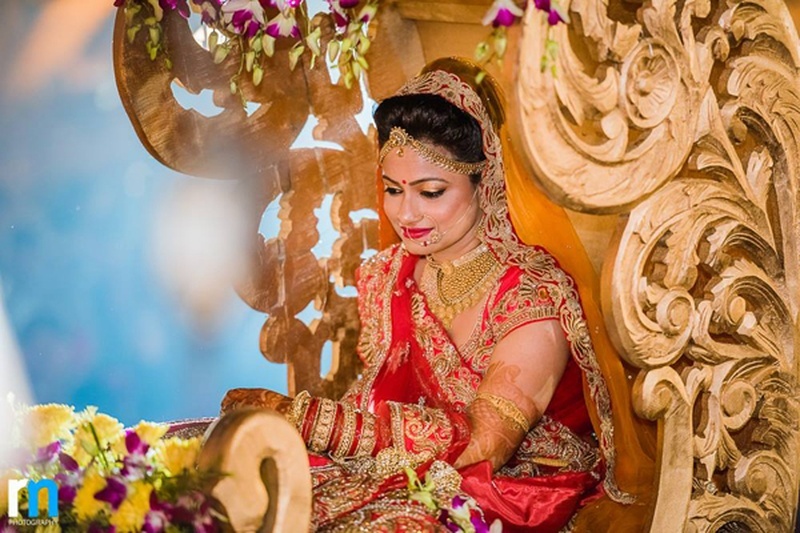 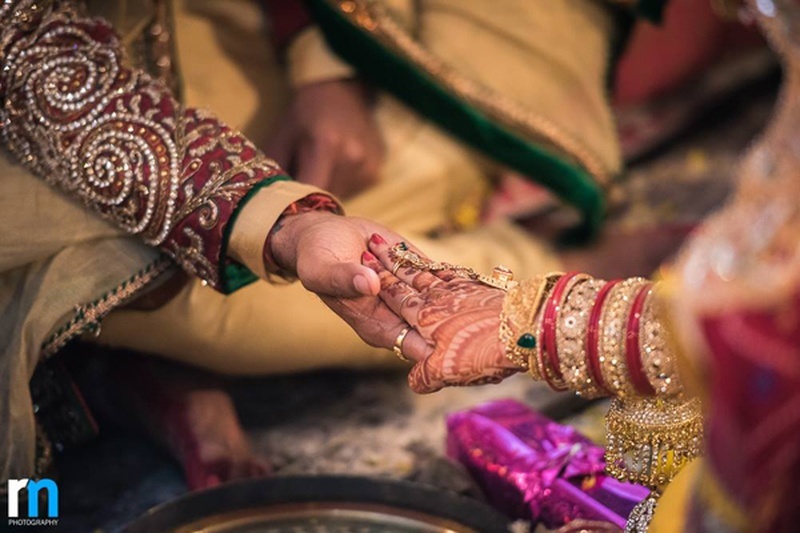 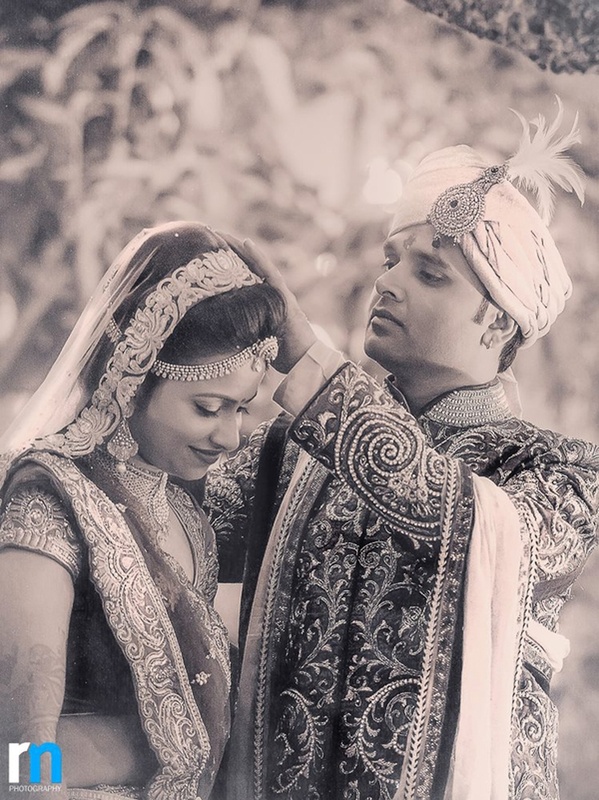 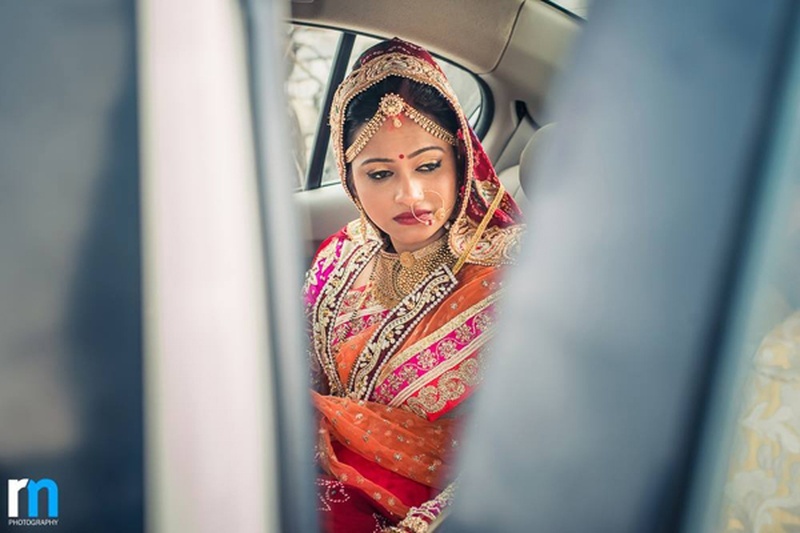 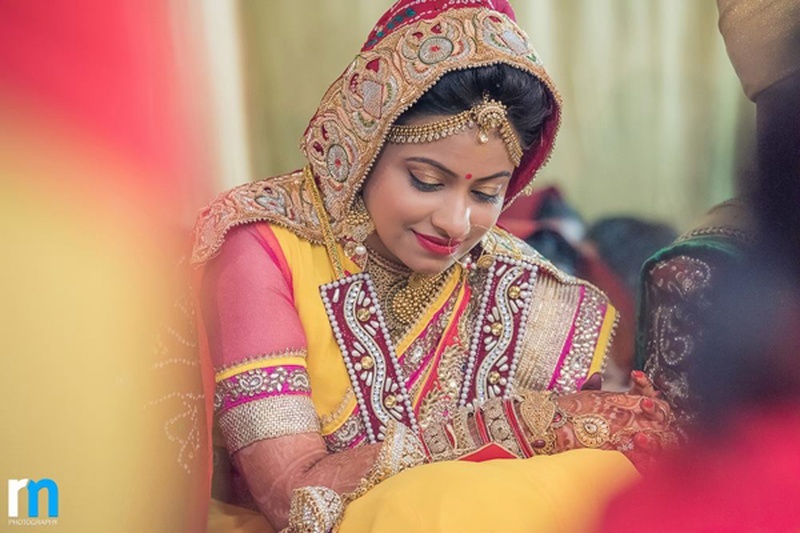 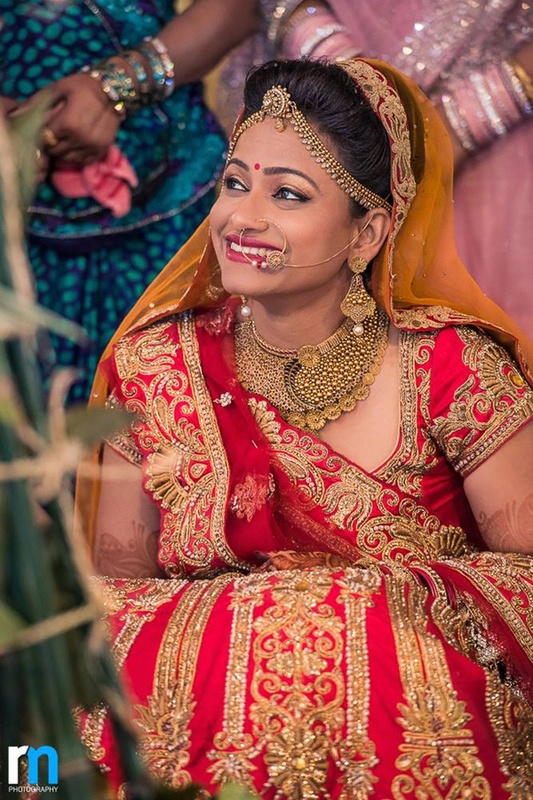 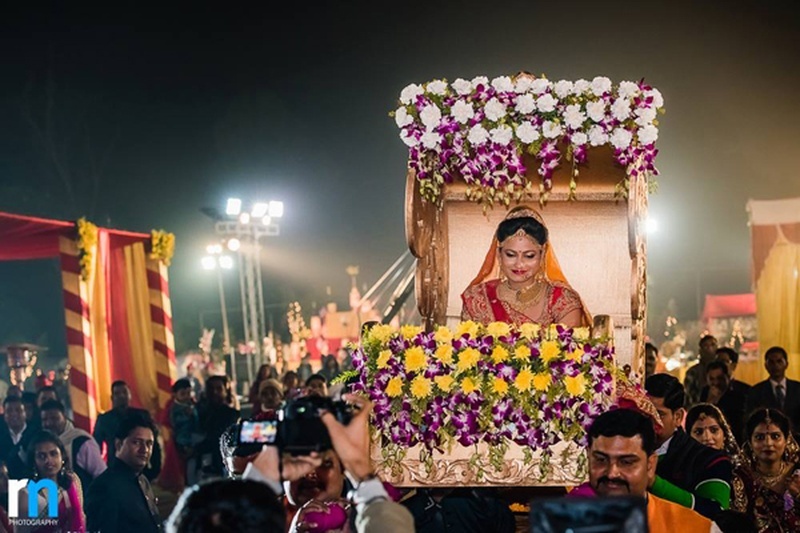 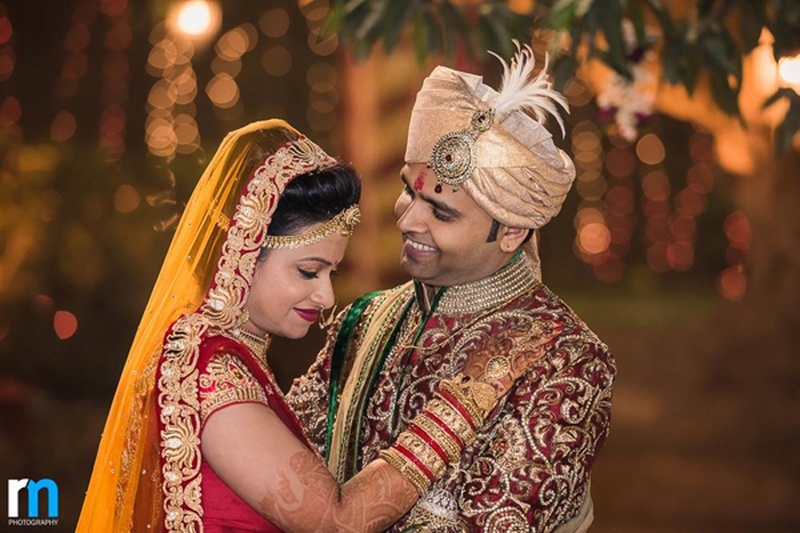 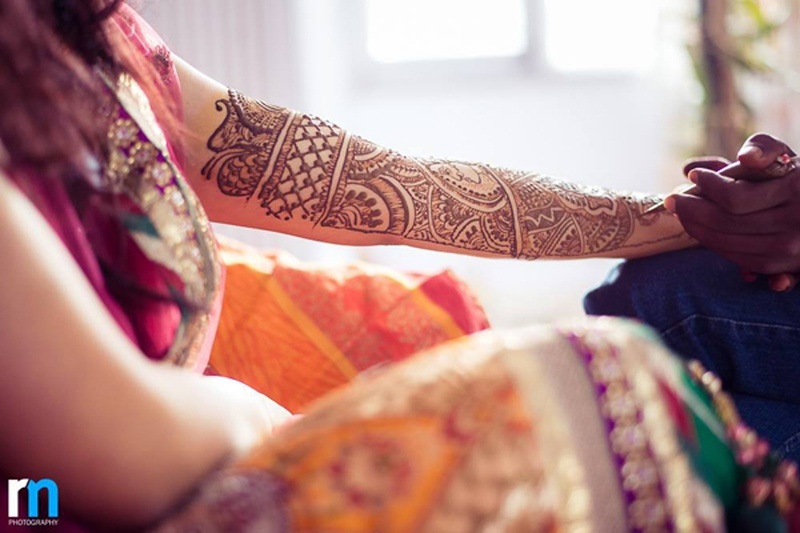 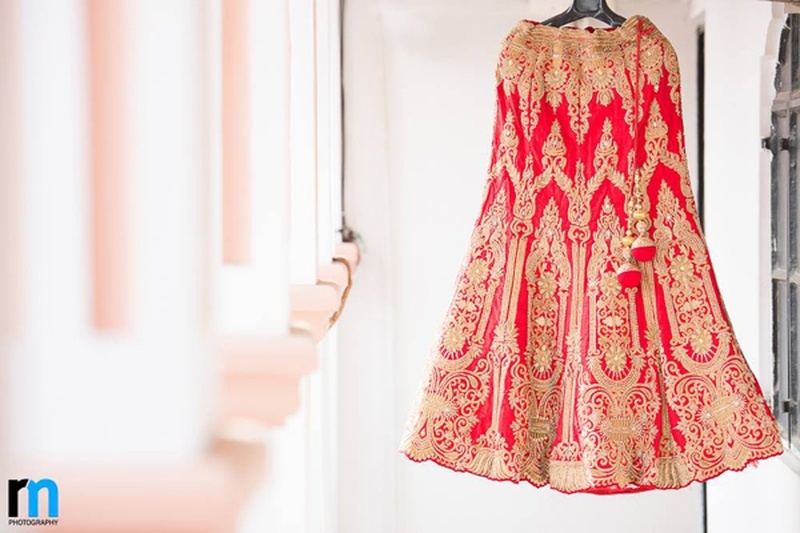 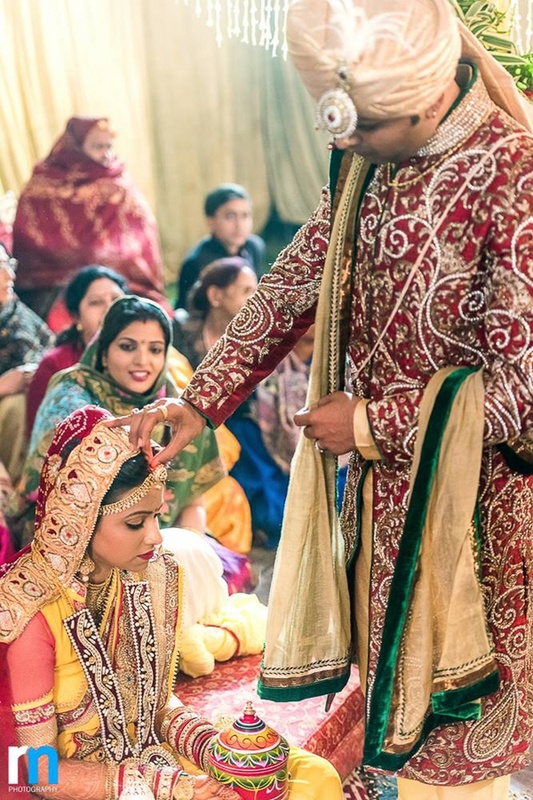 Aarambh and Rashmi’s wedding celebrations were a true reflection of a Big Fat Indian Wedding, complete with the traditional red wedding lehenga and ravishing gold patterned palkis. 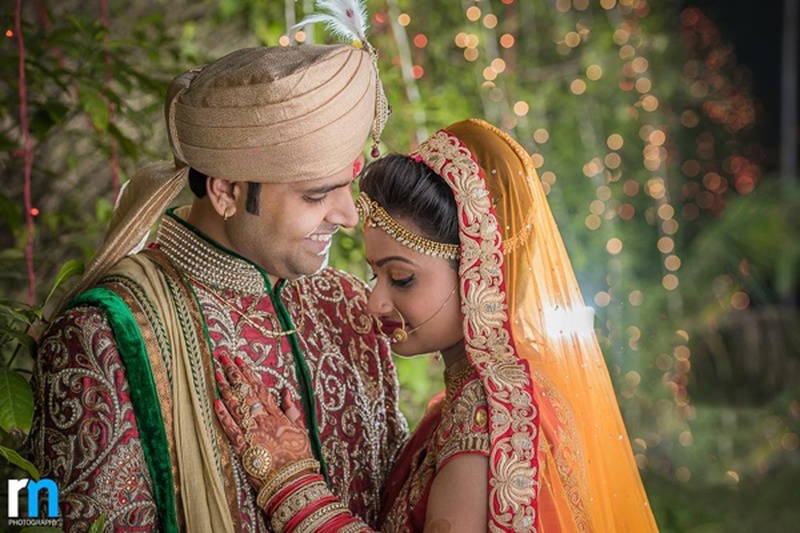 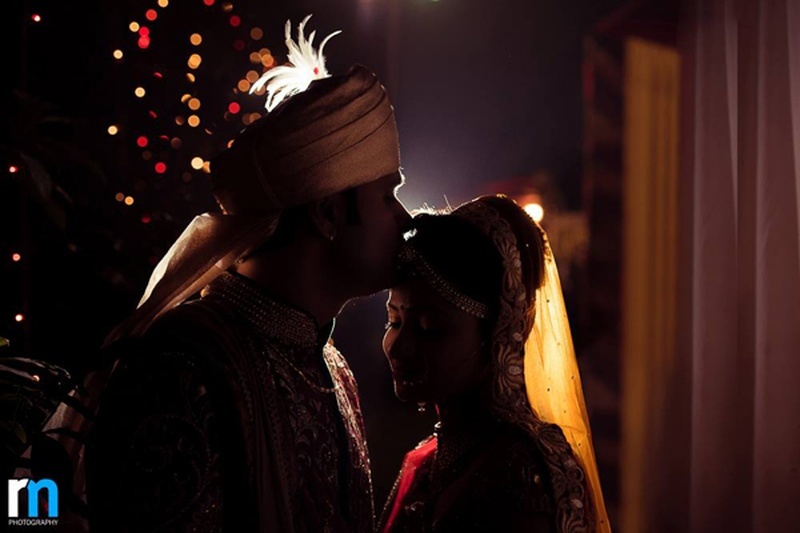 This marriage took our breath away!